Elaine May’s Ishtar is famously known as one of Hollywood’s greatest bombs. However, few know that the first 25 minutes or so of this Warren Beatty/ Dustin Hoffman movie features some of the best adult-oriented comedy that Hollywood has produced. Beatty and Hoffman play Lyle and Chuck, two hapless schmucks who dream of being the next Simon and Garfunkel. Their struggle in the music business offers some delicious laughs, laughs which are tinged with sadness (people like this exist). Sure the film loses momentum once the duo hit Morocco, and it turns into something of an adventure flick-but it’s still worth staying onboard. 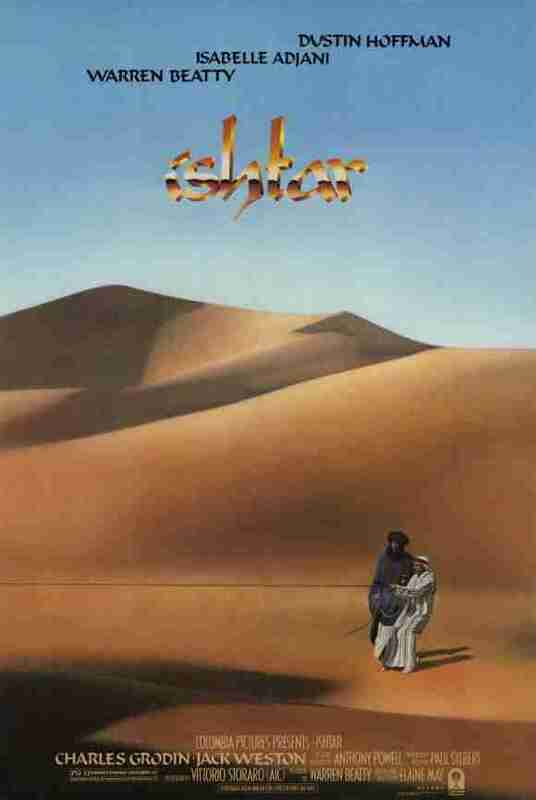 I like to revisit Ishtar every year or so-just for that opening segment. It’s a shame that the film will forever be remembered for its excess and extravagance-at the time of Ishtar’s release a film with a budget of $55 million was almost unheard of. It grossed under $15 million at the US box office.